I have lots of food-related backlogs to blog about but I've been trying to space them out because honestly I prefer my non-food related entries! (And then I end up forgetting the taste of everything and then I end up having writer's block when I blog) Haha. I really need to go out and have some fun instead of eating and eating and eating. I have been eating non-stop this Chinese New Year! No control at all! After our trip to River Safari, bf brought me to have dinner at Ito-Kacho! Never heard of this place before but it had good reviews online. 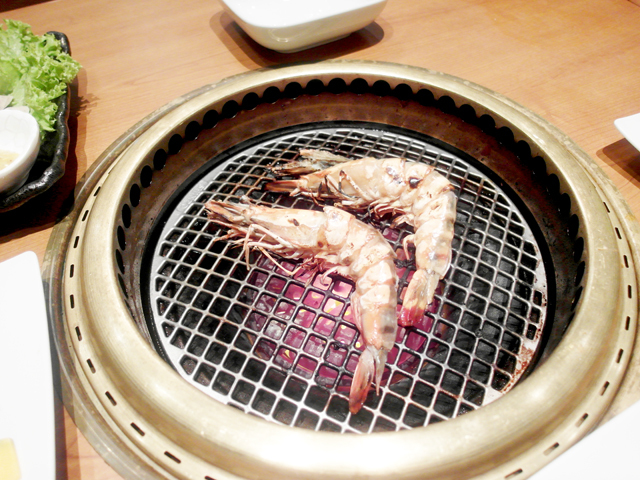 Indeed, it's quite a nice place for japanese grill! 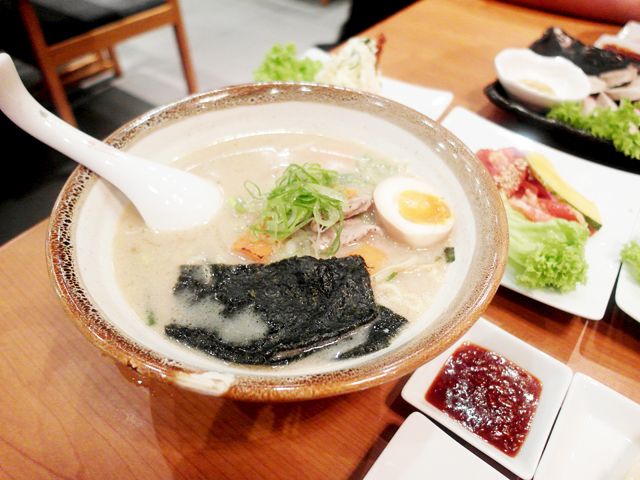 Craving for something soupy, so I ordered this Kuro-Buta Ramen ($15.80). Bf likes it alot! 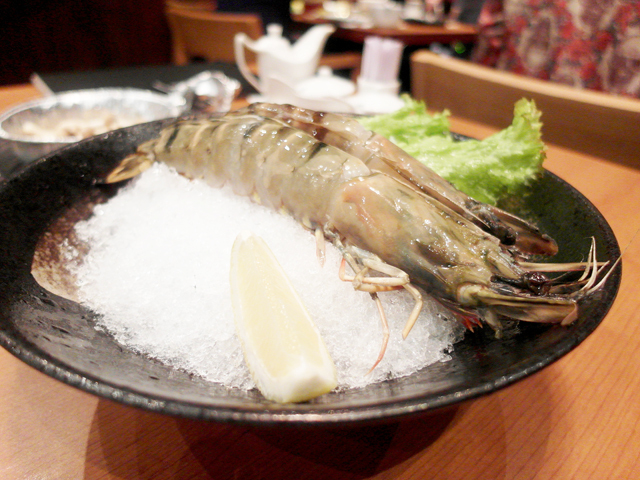 Giant Tiger Prawns ($24.00). Yummy but only two pieces. I want more! 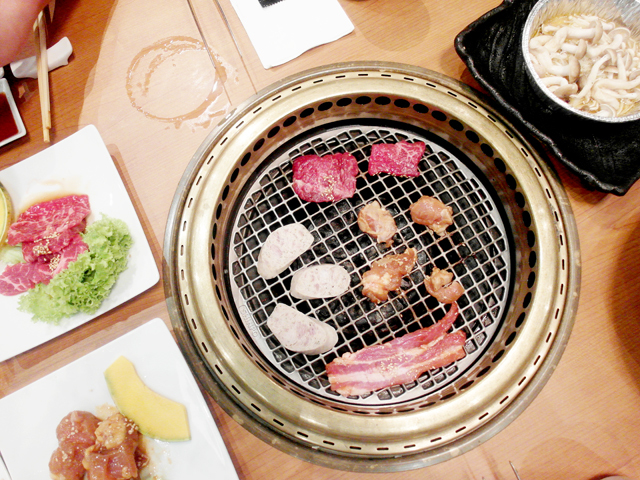 For meat, we ordered 3 different types! 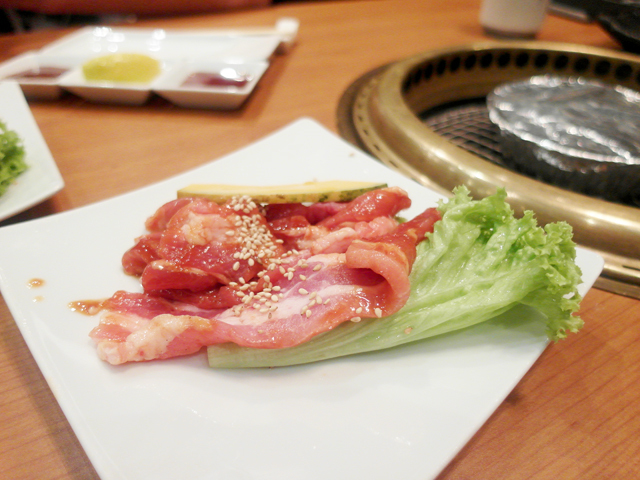 US Kurobuta-Karubi/ Pork Belly ($19.00), Boneless Chicken Leg ($9.00) for me, and US Nami-Karubi/ Chuck Rib ($19) for bf. If you are a meat lover like me, you probably have to spend a bomb because each portion is quite small. However, the quality is definitely good! Apparently this place is highly rated for its beef. Which I don't eat, so I can't really judge. 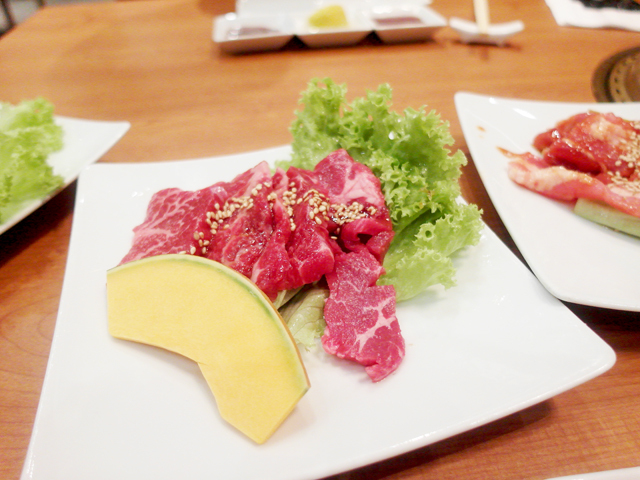 The rest of the food is quite good too, so if the beef is the star dish, it's probably even better than good? 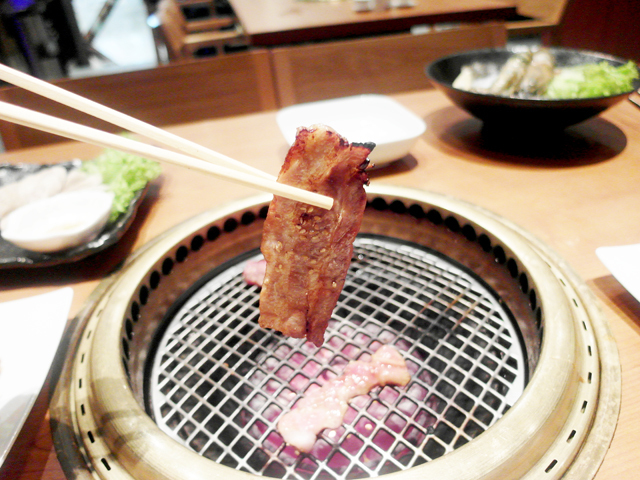 Too bad my wisdom tooth was hurting badly and I was sick that day, else I think I will order more meat! 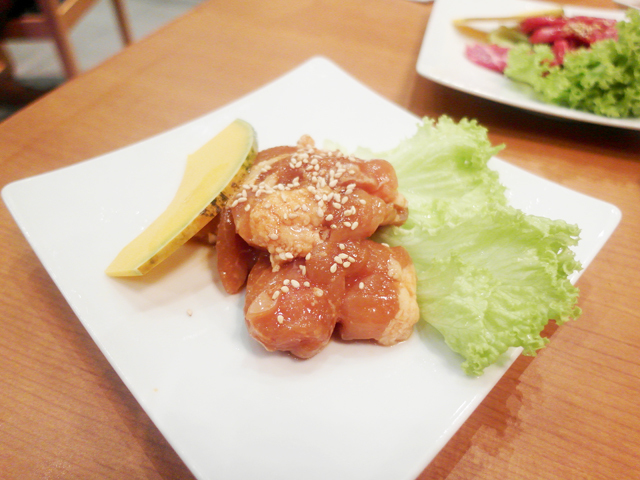 Sausage Moriwase ($15.80). Liked it. Jikasei Potato Salad ($11.80). 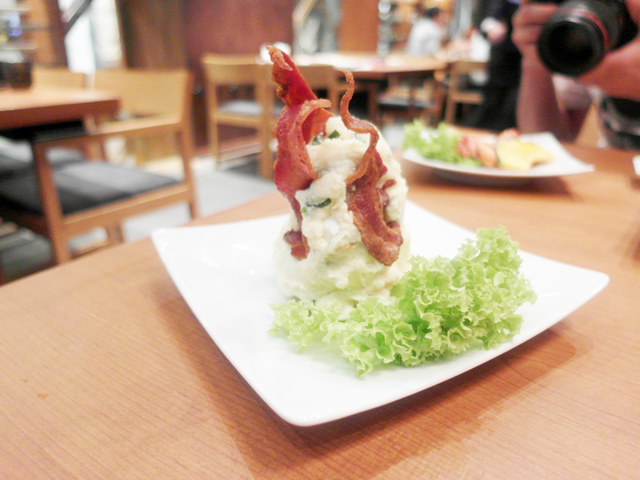 Bacon on potato salad, awesome! I feel happy whenever I have good meals! 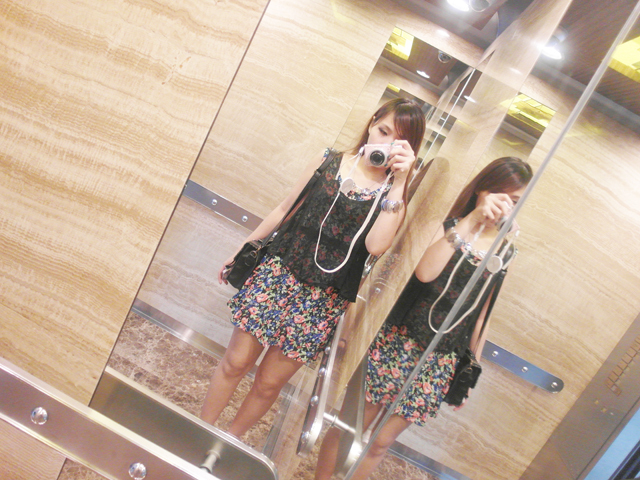 Wearing dress from EARTHDOLL (Bukit Panjang Plaza #03-21)!